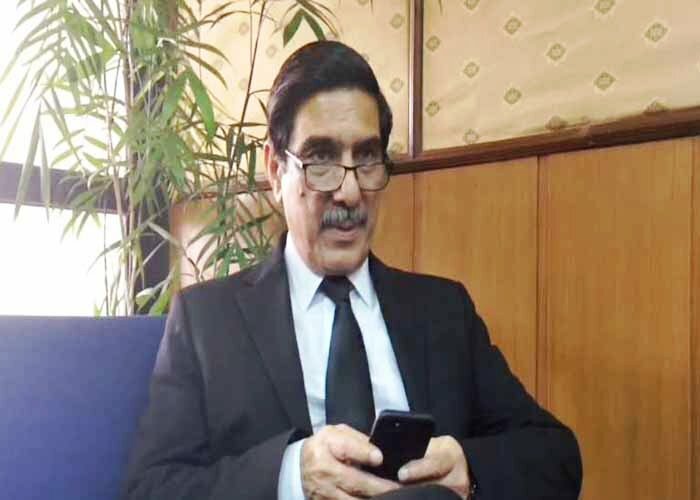 ISLAMABAD: Former prime minister Nawaz Sharif’s defence counsel Khawaja Haris on Friday raised the issue of National Accountability Bureau (NAB) Rawalpindi Director General Irfan Mangi’s meeting with judges hearing corruption cases against the Sharif family. Accountability Judge Arshad Malik is hearing the corruption references against the former PM. “There were reports in media about DG NAB Irfan Mangi meeting with judges yesterday. We should refrain from such situations,” Haris said on Friday during the hearing of the Al-Azizia Steel Mills and Flagship Investment corruption references. “I had summoned DG NAB and had asked him to meet me the day before yesterday, however, he left after waiting for some time which is why we met yesterday,” the judge explained. “I had summoned Irfan Mangi in an official capacity. I did not speak to him about the case. The only mention of the case in our conversation was that I could not meet him the day before yesterday owing to an engagement,” he elaborated. “For the media, it might be a huge issue of Mangi meeting judges, however, it is not for us,” he further explained. Irfan Mangi met with accountability court judges Mohammad Bashir and Arshad Malik at the Judicial Complex in Islamabad on Thursday. According to reports, Mangi’s meeting with Justice Malik lasted for more than an hour.